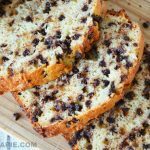 This Chocolate Chip Bread recipe is perfectly sweet and a perfect idea for either breakfast, lunch or dessert. This quick bread recipe is super easy to make. 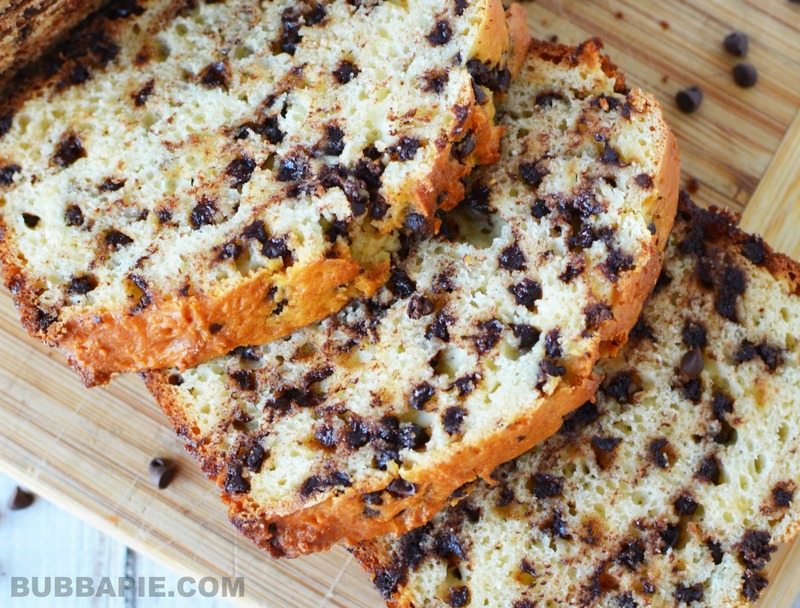 Chocolate Chip Bread-The Perfect Meal? 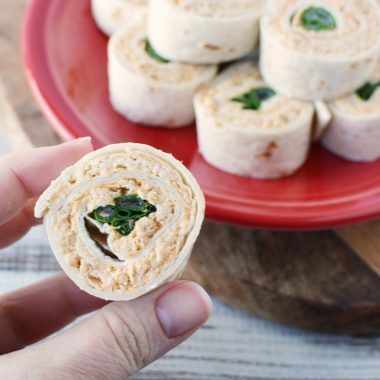 When thinking of new recipes to try, I get super excited when I come across something that can work as several different meals. 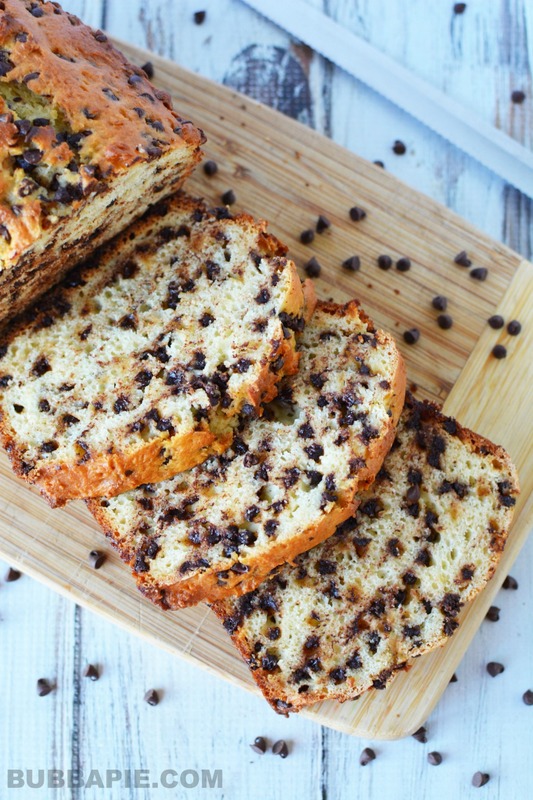 This yummy chocolate chip bread recipe fits that bill perfectly. 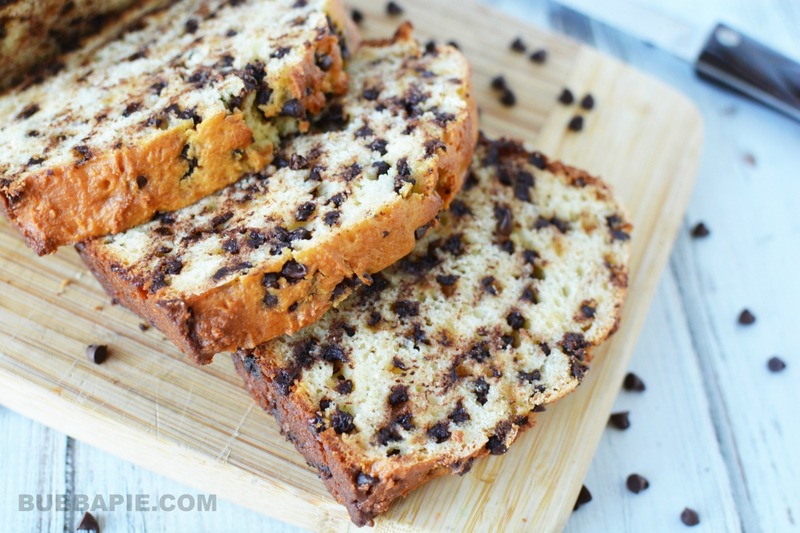 This chocolate chip loaf makes for a tasty breakfast, a light lunch or a yummy dessert. It tastes wonderful heated up a little bit with some melted butter on it. Yum! 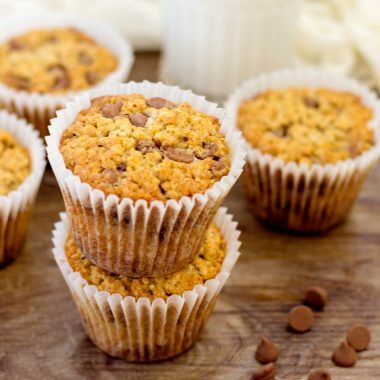 I love just about anything with chocolate chips and I can’t tell you how excited I am to find such a versatile recipe. I take everything that includes chocolate chips very seriously, it just might be my favorite ingredient. 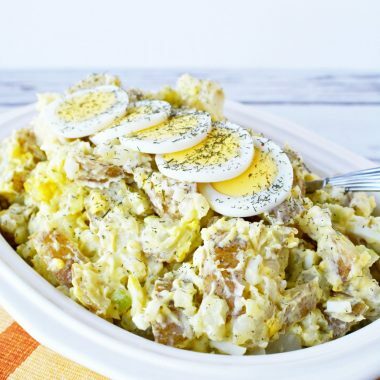 This recipe does not disappoint. 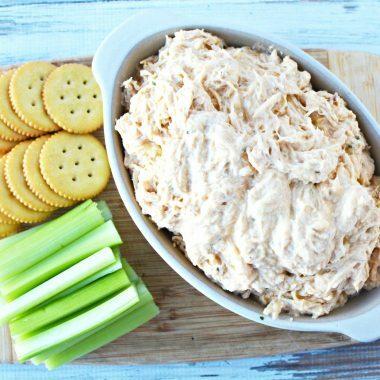 There a number of different things you can also add to this recipe to zest it up a bit if you want to. This loaf would taste great with some walnuts in it, but we can’t do that because my son is allergic. You could also mix in a ripe banana if you’d like. Try out a little bit of cinnamon to add some zest! I also love to experiment with my chocolate chips. Feel free to do so too! There can be a nice subtle difference between using milk chocolate chips or semi-sweet chocolate chips. I frequently use the larger chocolate “chunks” in recipes. You really can’t go wrong with it comes to chocolate chips. 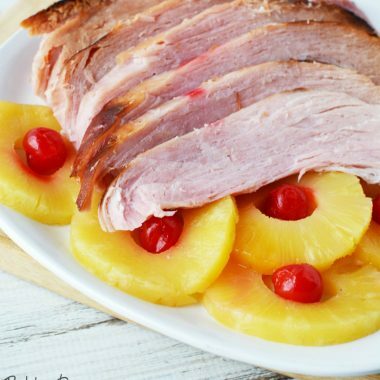 There have been several times that I am in need of a dessert but don’t have time to go to the store and I don’t feel like making my own. 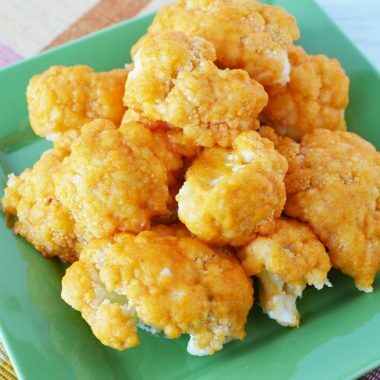 That is another great thing about this recipe: how quick and easy it is to make. There are just a few simple ingredients. Check in your pantry, I’d bet you have all of these ingredients right now! You just need some eggs, yogurt, vanilla, sugar, flour and chocolate chips. That makes this chocolate chip quick bread is a great option if you don’t have a dessert planned or you need a special breakfast for tomorrow. Whatever you decide to use this chocolate chip loaf for, I hope you enjoy it. Please let me know what you think! 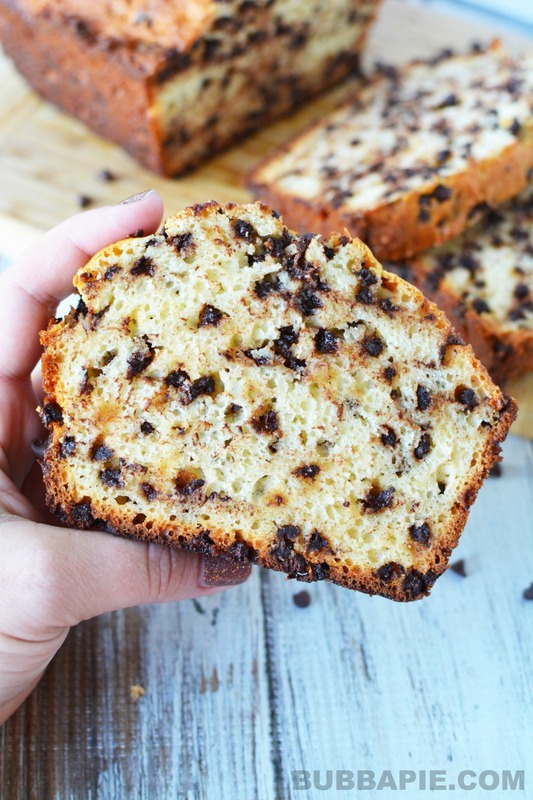 This Chocolate Chip Bread recipe is perfectly sweet and a perfect idea for either breakfast or lunch. This quick bread recipe is super easy to make. Preheat oven to 350 and grease a loaf pan with nonstick cooking spray and set aside. In a medium mixing bowl, add eggs, yogurt and vanilla and mix well. Stir in sugar. In a large mixing bowl add flour and gradually pour in wet mixture, mix well. Fold in chocolate chips. Bake for 55-60 minutes or until center comes out clean when a toothpick is inserted in the center.